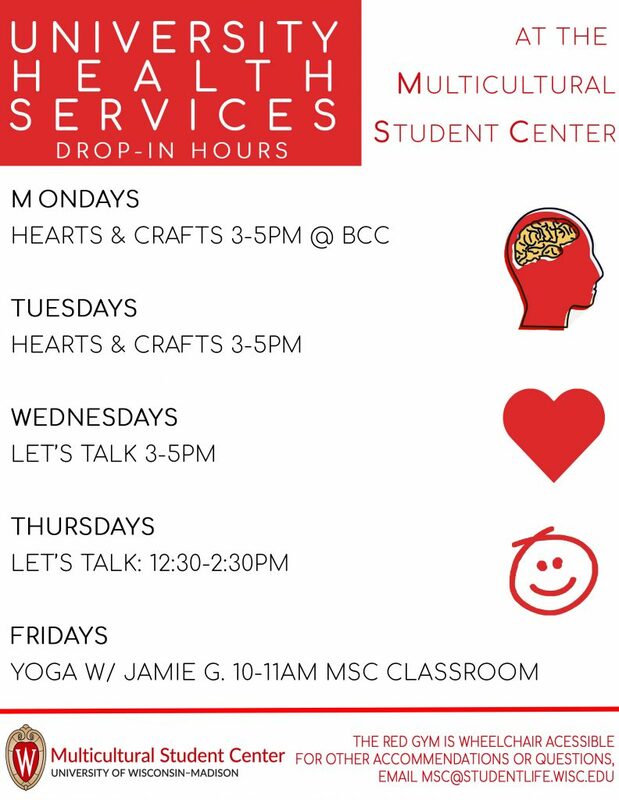 The MSC partners with a number of campus resources to provide in-house support, counseling, and programs aimed at fostering academic development, mental health & wellbeing in our communities. Resources will be updated on this page at the beginning of each semester when times are confirmed. 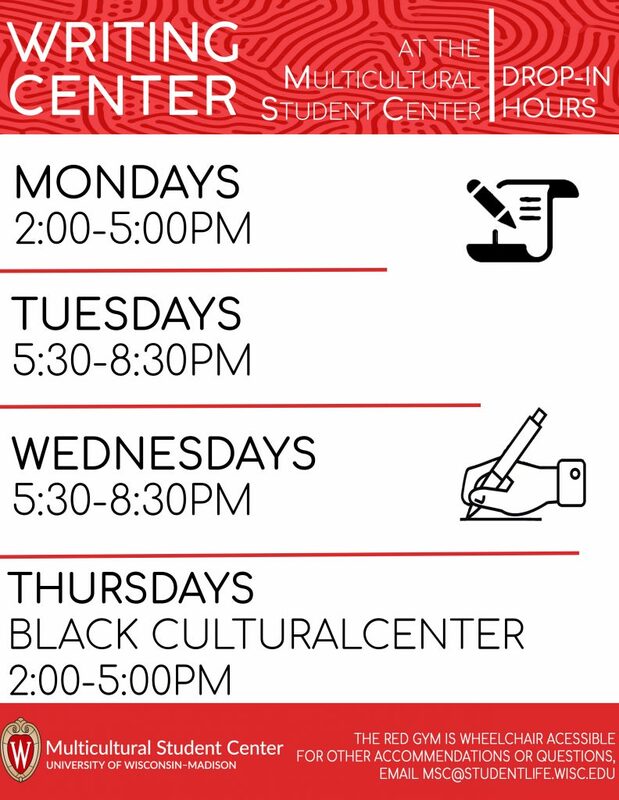 Programs are provided in collaboration with staff and counselors from Division of Student Life, Writing Center, and University Health Services. 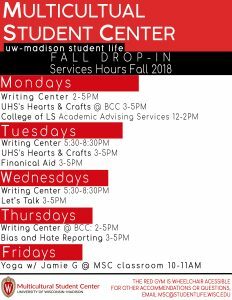 around campus for UW-Madison students. Free and no appointment is necessary. UHS counselor will be present.